Zorya was born with the rising of the sun. It was a difficult arrival that nearly ended before it began, but with the aid a good healer and an unrelenting will the infant broke the silence of dawn with a cry. Her mother was a patient woman, with a kind heart and a gentle hand. Her father, on the other hand, was a tyrant of sorts. While he held a soft spot for his wife and children his temper flared easily and his word was law. He did a fine job with is post, tending books and ovine alike. The floor of her grandparent’s home was her playground for the first few years of her life, shared with siblings and a plethora of cousins. Cooing turned to crawling and soon there wasn’t a corner of the home unexplored. Not long after her first turnday a new arrival joined the ever growing family. Zipalla, a cousin by one of her mother’s brothers, at which the growing toddler would point and grin and babble incoherently a story she thought of utmost importance. 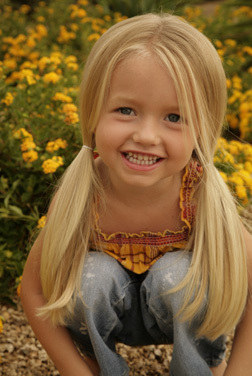 A cheerful child, the girl was rarely without a smile, her curiosity limitless. Soon both girls were walking, and the outdoors beckoned, leaving their older cousins with their hands quite full keeping track of them. There were ovine to chase, fields to hide in, and plenty of other things for two toddlers to get into. Yet, it was not to last. When the girl was four, her uncle, Zipalla’s father, returned but only briefly to retrieve his daughter and taker her back to live with him. While it was difficult for the girl to understand why her cousin was gone, being so young at the time, however due to that same carefree youth it wasn’t too very long before other things gained her attention and the cousin she’d known so well was all but forgotten outside of family chatter. The toddler grew into a perceptive and inquisitive young girl and by the age of five she was expected to assist in a handful of minor chores, although the majority of her time was still free for play. Dancing to the sound of her own voice and spinning tall tales to entertain her younger siblings and cousins, as well as a few of the older ones, life, while nothing out of the ordinary ever happened, was never without entertainment. Turn by turn she grew and about the age of nine or ten she was taken aside by her grandfather to spend a bit of time each day learning the meticulous details of hidework. While it perhaps wasn’t what most would see as something a young girl would enjoy Zorya took to it quickly. Her perceptive nature, endless inquiry, and knack for remembering things were made for it. That and the fact that Ziven, one of her brothers and perhaps her closest friend since Zipalla had left, had taken it upon himself to shove the girl over the fence into the ovine pen only a few short weeks before had her wanting to do anything outside of tending the sheep. Her love of entertaining, even if it was only herself, never ceased and in fact while browsing, organizing and reorganizing the records of her family’s cothold she found new songs and dances with which to do it. The once whimsical child became charismatic teen with a spark of her father’s temper when pushed too far. As Zorya began the steps of turning from child to young woman however her outlook began to change. Her family was beginning to chastise her for her ways, it was high time she start acting less like a child and more like the young lady she was to be. She tried, she really did, and even her wistful thinking of one day traveling beyond the hills of Shipton began to dissipate. It was at fourteen that she was informed that the following spring she would be married off, just as her elder sister had the year before. The man they had in mind she was, to put it lightly, none to pleased with. Jadrein, a man easily twice her age, heavy set with beady eyes, who had moved to the cothold several months prior. The son of a cousin’s brother-in-law or some such. He worked when he had to and only so much as he did, much preferring to sit back and let anyone else handle all he desired. The thing he desired most – Zorya. She would have none of it. After months of the unsettling feeling of being watched and turning her head to see Jadrein staring at her like a wherry stalking its prey, and now she was being told that -he- was who had been arranged for her. It was a fight that she would not win that night. Though the following day, the man ended up in the ovine pen, covered in mud and manure no thanks to Zorya and Ziven, much to their amusement and his outrage and dismay. She pleaded her case to her father once more. That there were more things in life that she wanted to do. To sing, and dance… Not tending sheep day after day, never passing the hills to the world beyond Shipton, and least of all marry Jadrein. Needless to say the conversation did not end well. And so, she set out on the path her Uncle Pallaton had taken fourteen turns before… to Ista Weyr. To find her path, her destiny. Ista was a bit of… well it was a big change for the girl. Having arrived at the weyr on the night of the graduation of Ista’s most recent weyrling group it took perhaps a bit longer for the girl to find her uncle. Not wanting to interrupt the ceremonies and not quite sure who she was looking for. After all, not having seen the man didn’t help her search. Once he was found however, it was agree that she would stay there at the weyr with uncle and cousin. Zipalla and Zorya became rather fast friends for the second time in their young lives and it didn’t take long for the younger girl to show her cousin the ropes of weyrlife. Dragons were perhaps the biggest change of all, being that Shipton isn’t exactly known for their hospitality towards dragonfolk. Zorya had heard of them, yes, but it was from the skewed perspective of her family and seeing the giant creatures was rare for the girl and even then it was only from a great distance. And so it was in the confines of Ista Weyr that the girl was both introduced to dragons and indeed made friends with a few and their riders. A few months passed and while unsure Zorya set herself to finding if she had what it would take to make it at Harper Hall. So it came to pass that she asked Pi, a cousin and green rider, if she might be able to take her to Fort to inquire after apprenticeship. Pi was more than happy to give her assistance and soon the girl found herself with the blue and white knot of a Harper apprentice. A few more months passed within the halls of Harperdom. A trip here and there to assist a journeyman or master with projects and the like, many lessons and much practicing – and so life when on. It was then, while practicing in the meadows just outside Fort Hold that A’ven and Bronze Glyith happened upon her, and with much of the uncertainty which had brought her to Harper Hall the girl was whisked off to Eastern to stand for their upcoming clutch. Terror? Shock? Either way the girl fell into a panic attack. Thankfully the trip was short-lived and she wasn’t the only one to have problem with the transition. It did, however, leave her out of sorts for a while longer than many of the others. But then when you take a teenager rather completely ignorant of technology as herself to outer space, what do you really expect to happen? But candidacy went on and over time the terror of it all lessened, but was not forgotten, and soon enough the eggs on the sands began to rock. While many impressed that day, Zorya was not among them, though after having gone through egg touchings and the hatching itself perhaps it wasn’t so bad to have been left standing. They weren’t, after all, the most pleasant dragons… And so when all was said and done she returned to Ista Weyr where after a chat with L’ton the tribulations of her time at Eastern were put aside. And so it might have been that Zorya would either have stayed on at the Weyr or gone back to Harper Hall to continue her lessons until Sianne, Igen’s Senior Weyrwoman, happened to chance upon the girl and soon the Shiptonite was headed for Igen, a candidate once again. Igen’s more traditional form of candidacy was easier for the girl than that of Eastern. Chores filling the majority of the days while evenings were spent getting to know candidates and other residents of the weyr alike. Friends were made and once again it came time for the eggs to begin to rock upon the sands – this time in the middle of a sandstorm. And so in the relative safety of the dimly lit hatching grounds the candidates stood in the midst of flying sand and bits of clothing. While more confident this time around Zorya was left standing once again. So it was that she returned to Istan shores after a few more day in the Igen desert to say her goodbyes to those she’d met in her time there. This proved not to be quiet as easy as she’d hoped. Goodbye wasn’t exactly something she was accustomed to. After all, the first time she’d left anywhere was when she’d left home to head for Ista Weyr in search of her uncle and there were no goodbyes then, just her leaving. So add in that there were those who would have liked to see her stay… But the farewell came and soon enough she was back on the black sands of Ista. Now was the time to continue to pursue her hand (or shall we say feet?) at her chosen craft. Having been required to put her dancing to the side for a period of time during candidacy at both Eastern and Igen, she set herself back into her studies – practicing perhaps even more than she should. While overworking had its mishaps as anything is sure to, she was surprised (if pleasantly so) by being promoted to Senior Apprentice of the Harper Hall. It wasn't too long after this however that a sickness broke out among the dragons of Ista Weyr. The healers worked for a cure, and at first thought they'd found one; however, there was more to come. The cure wasn't a permeant one, those who were ill to begin with relapsed and the disease spread. In the mean time Ista's gold Ankhepith flew and was caught by bronze Dhonzayth, a clutch was laid and worry for the dragons spread also to the eggs upon the sands. It was during the quarentine of the weyr that Zorya was asked to stand again. This time by her uncle L'ton, who's bronze had sired the Ankhepith's clutch. And so she did, with many others from the weyr - including her cousin Zipalla. Candidancy wasn't so much unlike that at Igen with it's daily chores, and so the days passed. Lisle's gold Umniyath's eggs hatched and Zorya was left to wonder once again until those of Ankhepith began to rock, the dragons began to humm and the candidates were ushered to the sands. It was there, on Ista's hatching sands, beside her cousin, her uncle watching on that something finally happened. On the sixth day, in week 2 of the first month of autumn, in turn 2680 - two turns, 3 months and 22 days after leaving her home in Shipton - that Brilliant Display of Verdent Green stared up into her eyes and she and Ixophenth became one.